Chapel Hill is a town located in the southeast corner of Orange County, about 10 miles from Durham and 32 miles from Raleigh. 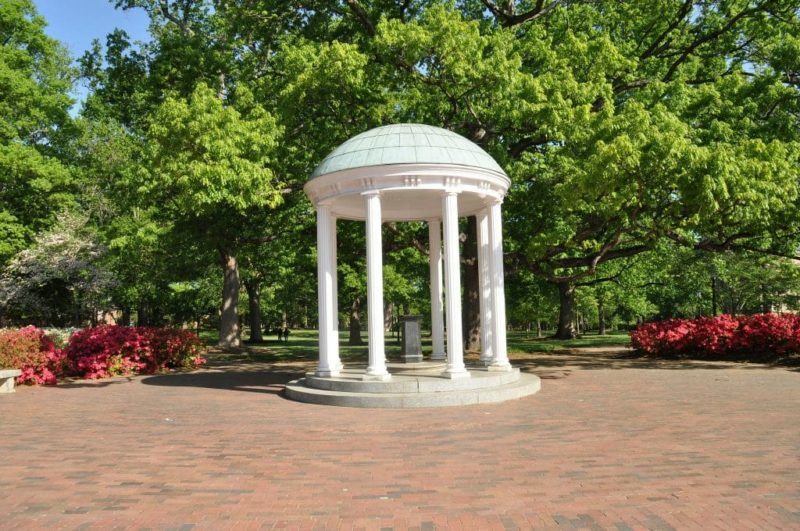 It is world-famous as the home of the University of North Carolina at Chapel Hill, the nations oldest public university and considered one of the best in academics and affordability. The town of Hillsborough lies to the north, nearby Carrboro to the west, and Chatham County to the south. There are a variety of corporations headquartered in the town. Chapel Hill, or at least the town center, indeed sits atop a hill which was originally occupied by a small Anglican “chapel of ease”, built in 1752, known as New Hope Chapel. The Carolina Inn now occupies the site of the original chapel. In 1819, the town was founded to serve the University of North Carolina and grew up around it. The town was chartered in 1851, and its main street, Franklin Street, was named in memory of Benjamin Franklin. Find your Chapel Hill home, checkout chapel Hill Neighborhoods. The town has great transport links with I-40 in the town giving access to local cities and the mountains and coast beyond. Research Triangle Park is a short commute from most of Chapel Hill as is RDU International Airport. There are numerous movie theaters in Chapel Hill as well as bars and clubs close to downtown. The Playmakers Repertory Company (DPAC) has a theatre on Country Club Road. The Memorial Hall, attached to UNC has a diverse program of events. Chapel Hill has several Parks and Recreation facilities. The city also has several miles of Greenway Trails.